If you have been into this hobby long enough you are probably familiar with some ESCI’s venerable kits. 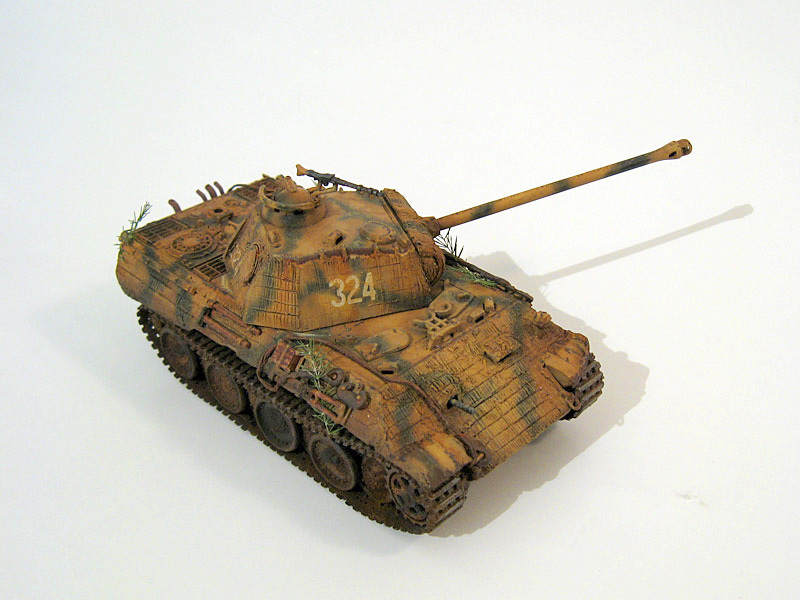 Some are actually still around by the hand of Italeri; the Jagdtiger, Hetzer and the Elephant among others. 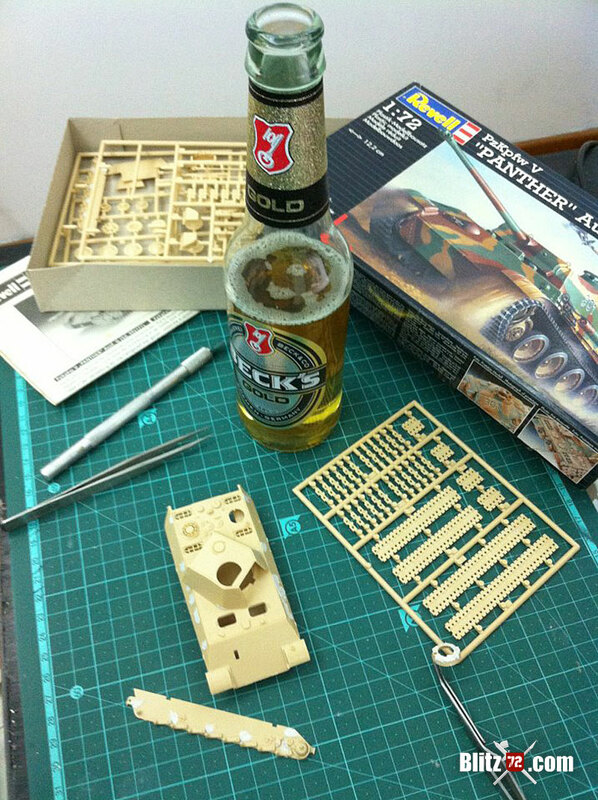 One of these golden goodies is their Panther Ausf. A. Not long ago I was given one as a present from a local vendor when I bough ACE’s AML 90 from him. 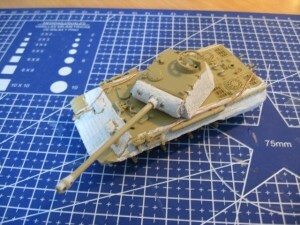 It was a bagged kit, no instructions or decals, most parts were off sprue and/or showing some warping and at first I decided I was going to use it for the parts. However, upon closer inspection all the parts were present. Being the sucker I’m for older kits, and specially ESCI I had to build it. 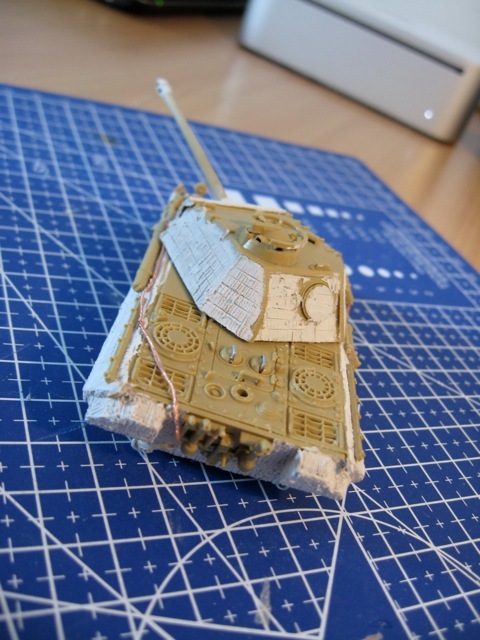 The kit is straight forward, fit is actually very good and the only thing I added at this stage were strips of plasticard to the hull as it is hollow over where the wheels would be. 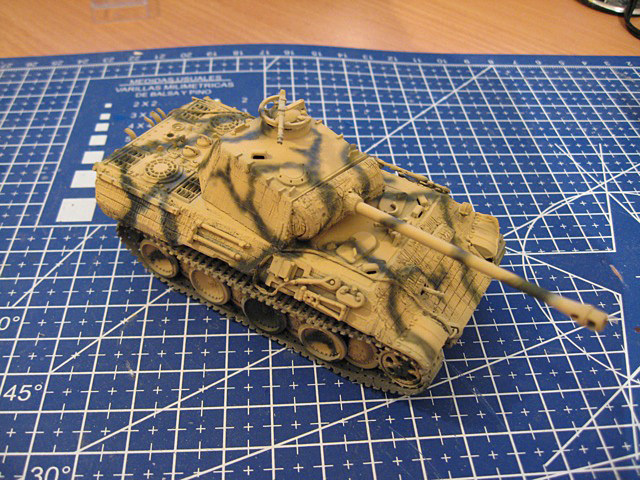 I did the Zimmerit the old fashion way, putty smeared on the surface using an old X-acto blade to level it first, and then to create the detail. 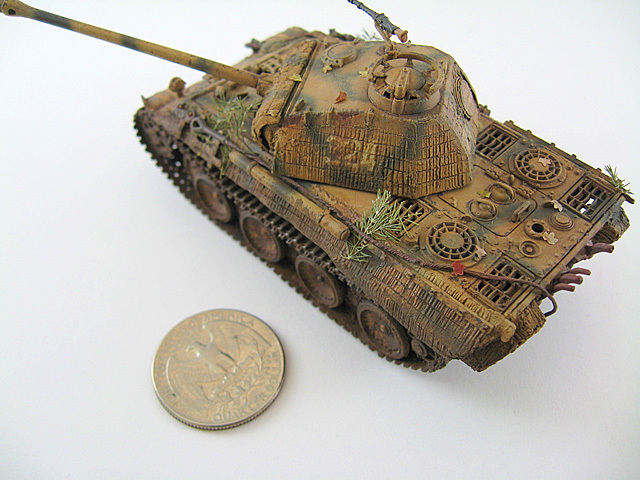 I tried to be as subtle as possible as most Zimmerit work on 1/72 tends to look too heavy or overscale. 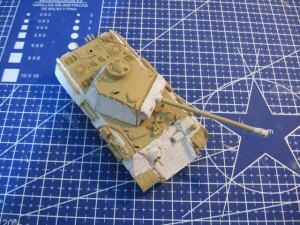 I also aimed at including a lot of damage on the Zimmerit layer, specially on the turret. One part that required some work was the barrel. I had to sand it to shape as it was “oval” in section after gluing the two parts that form it. 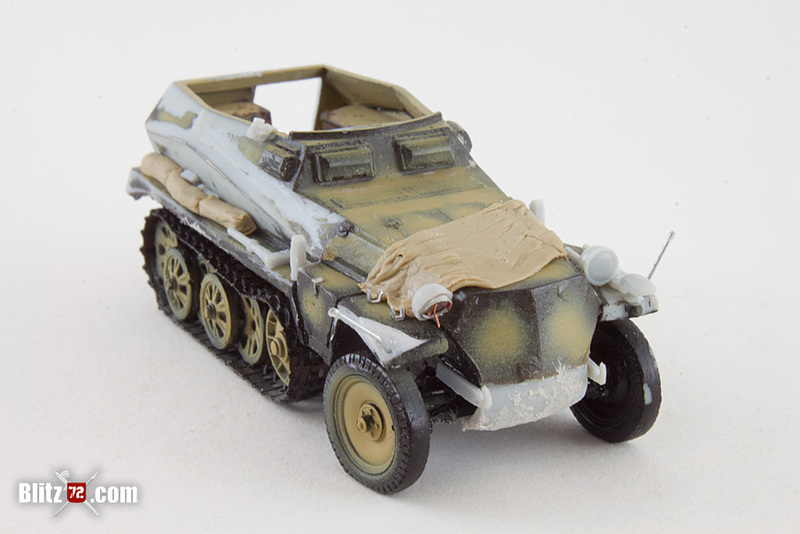 Tow cables were made using cooper wire, I removed one of the fenders in the front and damaged the other by heating the part under a candle (watch it!, keep your distance or you might ruin the model) and then shaping with a blade. I’d recommend replacing the hatch handles with cooper wire (I did not on mine and it shows). 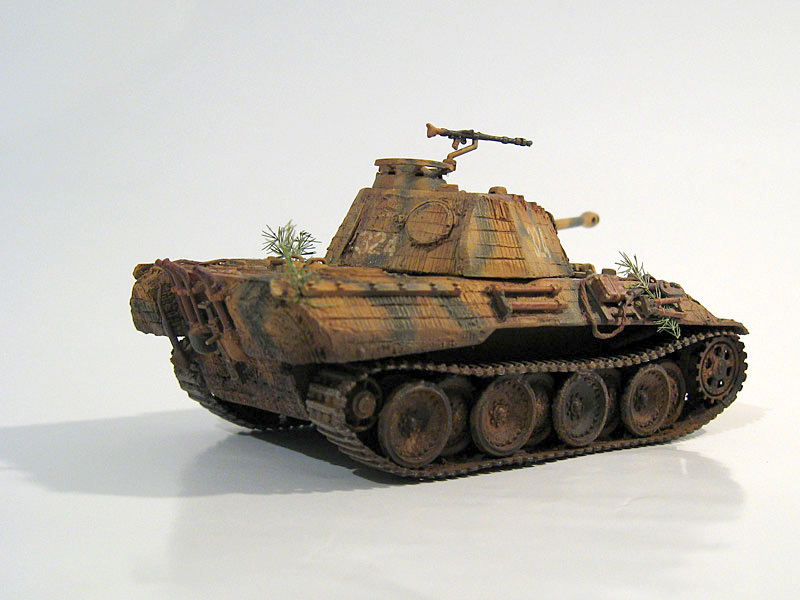 The only real problem with this kit were the vinyl tracks that either shrinked with time or were just too short. They were a royal pain to work with and I broke the idler wheels on both sides more then once trying to place the tracks. 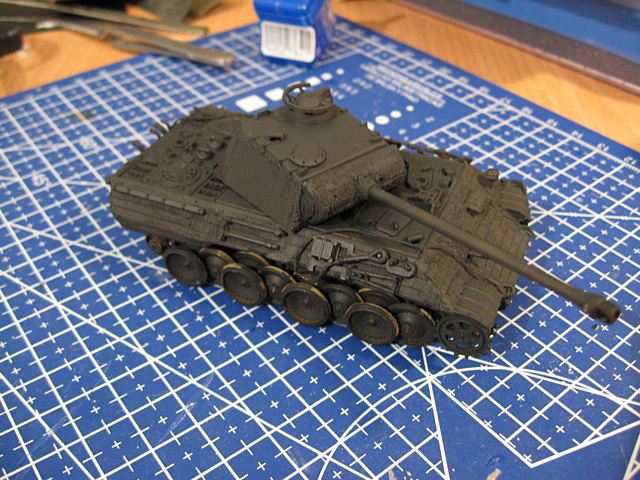 It is really stiff too, so quite a lot of CA glue was used in order to keep it in place in a reasonable shape. 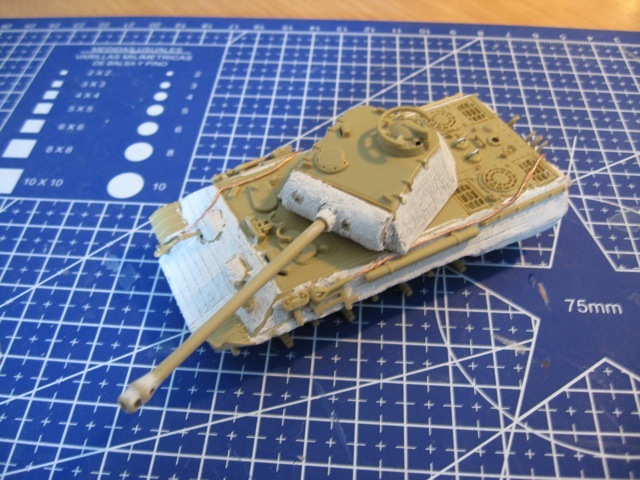 I hope Italeri’s version is better than this one, as mine was the first ESCI release as I found out later… another option would be sewing the tracks together to make up for the lenght needed, and then adding some schützen or armoured skirts to hide that part of it. The model was painted with Revell Aqua Acrylics, they offer great coverage, work very well for brushing details too (something I have yet to achieve with Tamiya Acrylics) and the full line-up is readily available in my local shop. 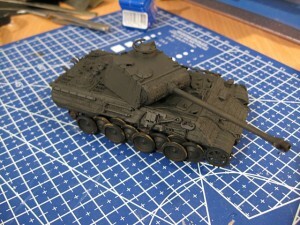 The model was prepainted #06 “Tar Black” complete with the wheels in place. 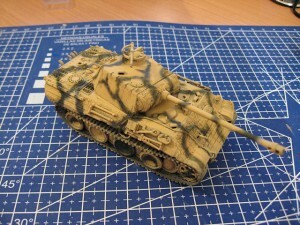 Then came the camo, I painted the base “Dunkelgelbe” by mixing Revell’s Aqua #88 “Ocker” width some #05 “Matt white”. 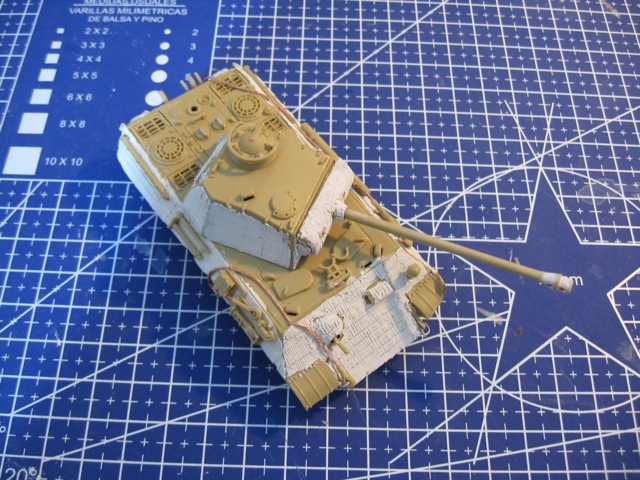 I found out that using straight Dunkelgelbe from any make or mix will darken a lot during the weathering process, so I try to go with an almost creamy yellow at this stage. Green camo was sprayed using Revell’s #40 Black green. Decals came from the spare box and were applied directly over the model with no clear coting, I placed a drop of clear varnish and the decal went right over it. I had no yellowing whatsoever!. I used oils for the most part, in the shape of washes of “Burnt Sienna” and pin washes of “Burnt Sienna” and “Black”. 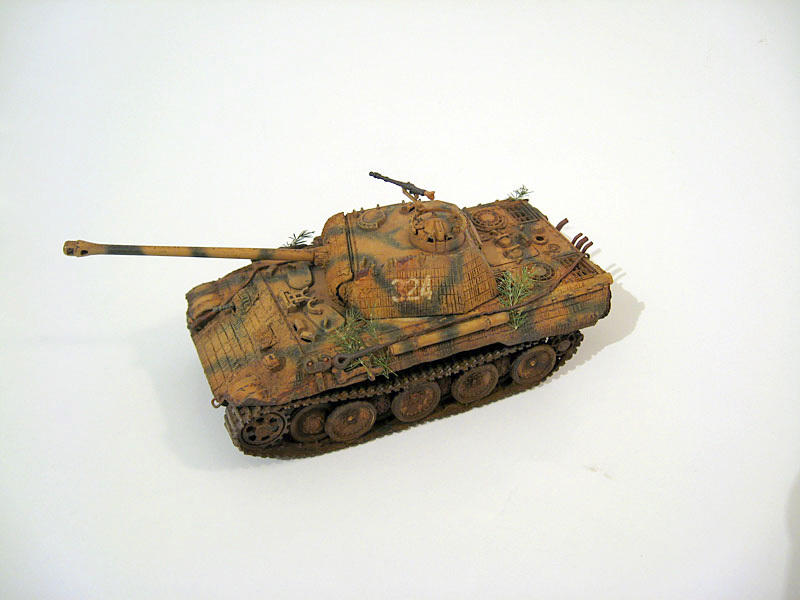 The chipping was made using a sable 000 brush with the same creamy color of the Zimmerit damages and some Tar black mixed with steel. Some dry brushing using the cream color on the top surfaces of the turret and hull brought up the detail wish is great for such an old kit. 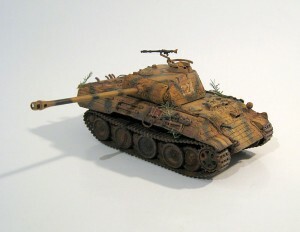 I used a Burnt Sienna and orange oils mix to draw some streaks on the turret were corrosion was likely to have happened and maybe the rain would wash it down the sides. I did the same in some spots of the hull, like the front left side were I also modeled some Zimmerit damage, and also on the exhaust and tow cable. Right after doing so I sprinkled the tow cable and exhaust with some red and black powdered pastels to simulate corrosion. The powder adheres right to the fresh paint leaving an interesing effect. The key here is not touching or letting the pastels stick to anything other than the freshly painted parts. 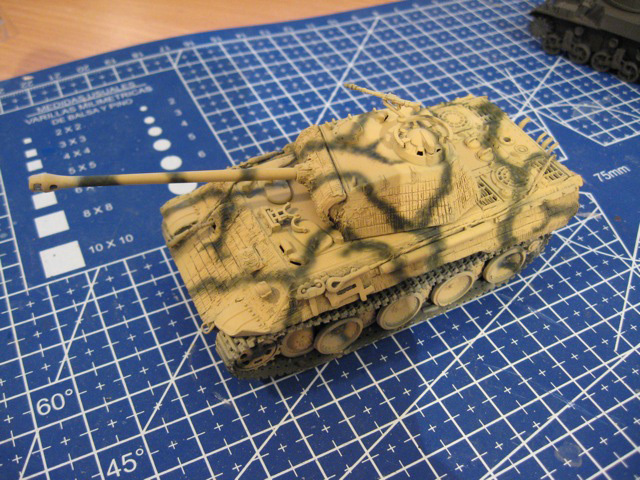 Then I used some pastel powders mixed with satin cote from Humbrol to simulate a smeary dark mud on the tracks, wheels and lower part of the hull. After that dried I gently drubrushed some areas of the track with “Steel” color. I airbrushed some Humbrol matt cote onto the top surfaces of the hull and turret while trying to avoid the lower surfaces. I robbed borrowed some small branches of one of my wife´s flower arrangements and added it as it would represent a hint of pine branches that stayed from a previous camo job. Well hope you liked it. I really enjoyed building this kit as a side project. Learned a lot about the Zimmerit technique and I’d sure improve it next time. The Panther is also my favorite WW2 tank, so it was a worthy addition to my collection. Great work on this tank, the Panther is one of my favorites too. 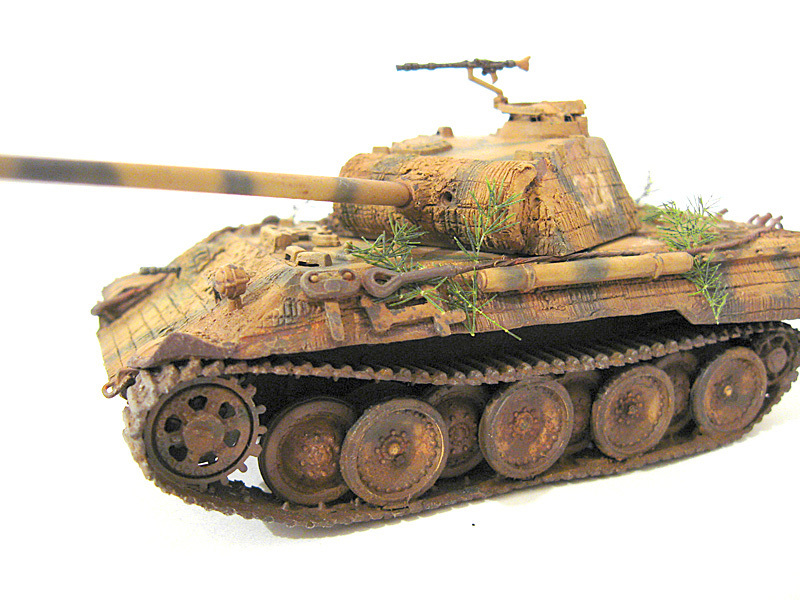 The weathering and damage are fantastic.